If your business has struggled as a result of the recent downturn in the economy, your business may be able to obtain a fresh start by filing a Chapter 11 bankruptcy. A chapter 11 bankruptcy could provide your business with a means to gain control of unmanageable business debt. When a business, corporation or partnership finds itself in a financial downward spiral, starting the process of filing for Chapter 11 bankruptcy may be the best option. In a Chapter 11 bankruptcy, a debtor submits a reorganization plan to keep his or her business and pay creditors some or all of their debt over a period of time. 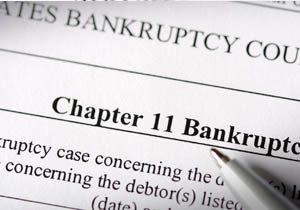 A Chapter 11 bankruptcy is similar to a Chapter 13 bankruptcy in terms of proposing a payment plan to resolve overwhelming debt and to force creditors to cease all collection activity. Although an individual can file a Chapter 11 bankruptcy, it is typically used by NH businesses who are seeking relief from business-related debts. A Chapter 11 bankruptcy creates an automatic stay, which prohibits most creditors from further collection call activity for a period of time while the debtor has a chance to seek bankruptcy relief. The automatic stay may be able to help your business stay a pending lawsuit or other adverse creditor remedy. While Chapter 11 bankruptcy is generally used to allow small businesses to declare bankruptcy, certain individuals may also be eligible for bankruptcy under this chapter. Often, individuals find themselves unable to meet the debt limits that apply to debt reorganization under a Chapter 13 bankruptcy. Unforeseeable circumstances can create financial straits for even the well-managed small businesses. In times of financial crisis, securing experienced counsel can help business owners find the path back to financial vitality. For business owners who are facing difficult debt, but who understand that there is still viability in their business, Chapter 11 bankruptcy can be an effective means of salvaging a business. For many small businesses, simply being able to put a temporary halt to the necessity of paying debts can be the sort of reinvigoration that the small business may need to be able to rebound. In Chapter 11 bankruptcy, there is a several-month period during which the exact reorganization of the debt is accomplished. During Chapter 11 a small business and/or its owner/s becomes a debtor in possession and acts as the business' trustee. This type of bankruptcy also allows a business owner to remain in control of the business during the process. This can be a great advantage as your business will continue to have someone who is intimately familiar with it making key decisions. If you wish to remain in business and if your total debt exceeds Chapter 13 limits, a small business Chapter 11 filing can be the answer. The current debt limits in Chapter 13 cases are: noncontingent, liquidated, unsecured debts of less than $383,175 and noncontingent, liquidated, secured debts of less than $1,081,400.